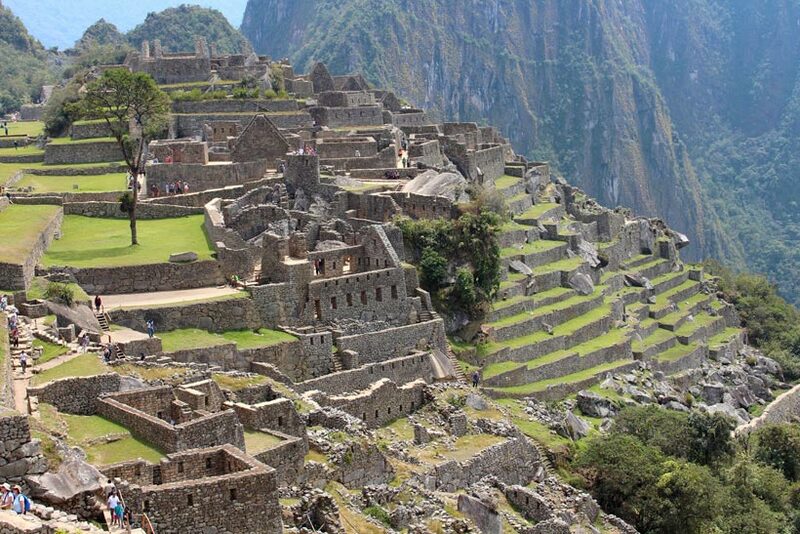 When you think bucket lists, chances are you’re going to think about Machu Picchu. Over the last decade or so, travellers from all walks of life—from budget backpackers in their 20s to retired visitors in their 70s and 80s—have made the trip to see one of the most photographed, documented, and well-loved UNESCO World Heritage sites on the planet. We traveled all the way to Peru to see Machu Picchu in person. Believe it or not, we briefly considered skipping it. Altitude sickness hit us hard and colored our first two days in the Andes, but I was frustrated to awaken on our third day to discover we weren’t out of the woods. Before I even opened my eyes I could feel the throbbing pressure in my temples. As I made the short walk from the bed to the bathroom for ibuprofen, waves of nausea crashed against the walls of my stomach. It took close to an hour to shower and get dressed; on a normal day, those activities would take just 10 minutes to complete. I was too sick to dry my hair, so I left it in wet waves despite the cold temperatures outside. We had a schedule to keep; we needed to get to the train station by 6:00 AM, which meant we needed to be in a taxi by 5:30 AM. At 5:15, as I struggled to tie my shoes without laying down to take a break, I told Adam I wasn’t sure if I had the strength to face this particular day. Adam didn’t look much better than I did; his head ached, too, but he was doing a better job of staying upright. Together, we motivated each other to keep moving forward, to keep making enough progress that we might make our way to the hotel lobby to order a taxi to the train station. We had one chance to get to Machu Picchu. We had to make it. 17 hours later, back in our hotel room and scrolling through dozens of pictures as we relived our day, we both rolled our eyes at how we even entertained the idea of skipping out on the Inca’s most famous structure. It wasn’t the easiest day trip we had ever taken, but it was easily one of the best. So how did we spend one day at Machu Picchu? Here’s what we want you to know about getting to and making the most of one of the New Seven Wonders of the World. 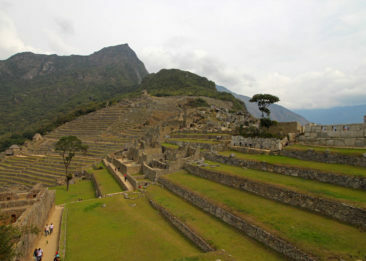 If you’re planning a visit to Machu Picchu, you’ll undoubtedly do some homework on the Incan citadel before you arrive. 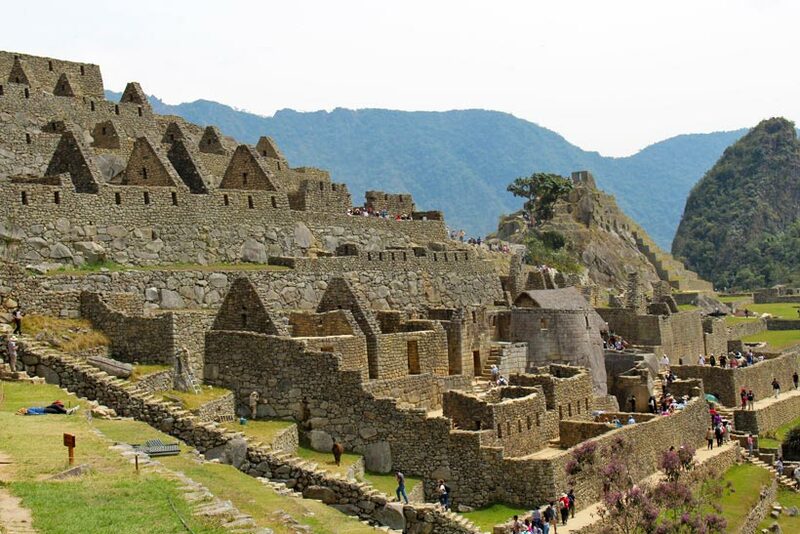 In short, Machu Picchu was built around 1450, and it was abandoned just about a century later around the time the Spanish arrived in the area. 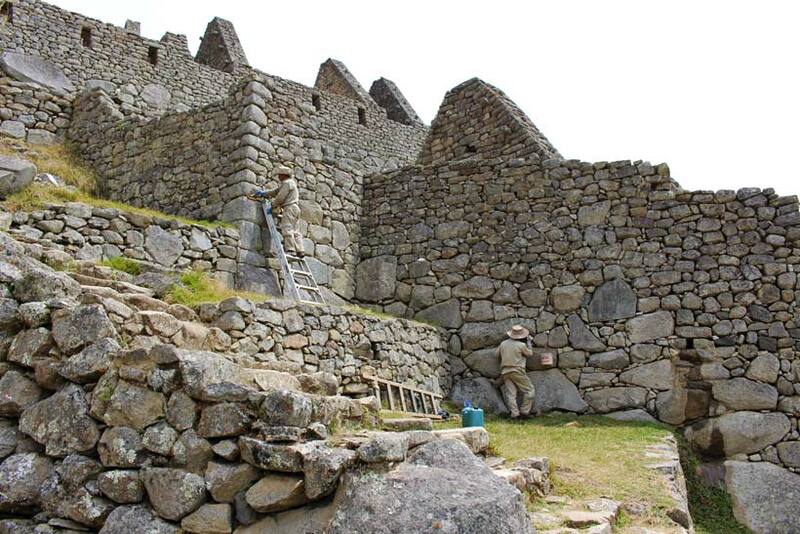 Interestingly, the Spanish didn’t find the settlement, which means it is one of the few Incan constructions that was not plundered during conquests. 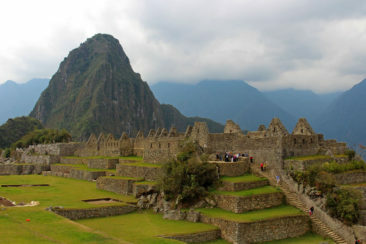 In fact, Machu Picchu all but disappeared as the jungle grew around it, and while it appeared on some maps in the 1800s it wasn’t until American explorer Hiram Bingham arrived in 1911 that locals pointed the way toward the missing settlement. Restoration efforts continue to this day. 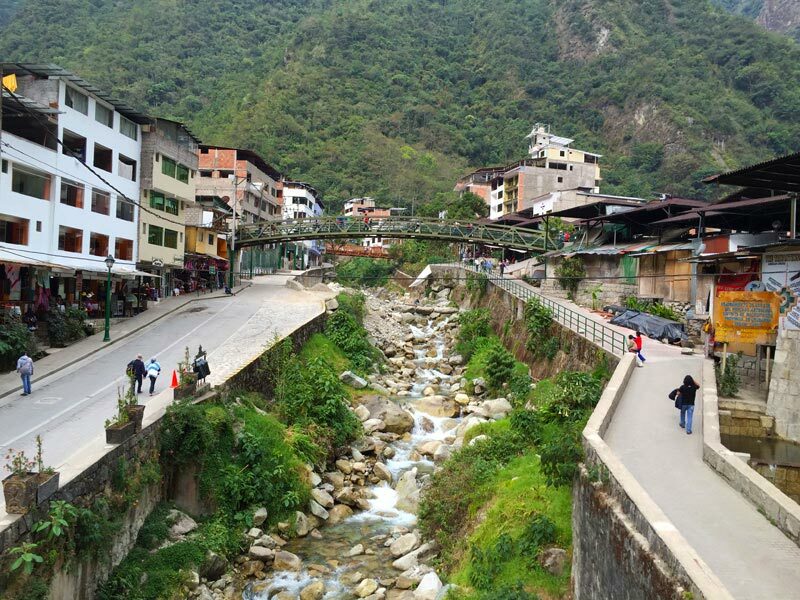 Staying in Aguas Calientes. 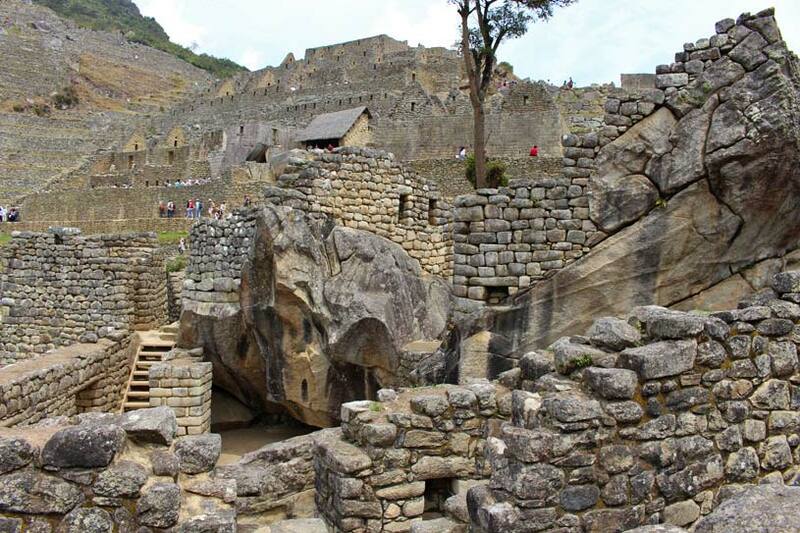 This is the largest town just outside of Machu Picchu, it’s popular and affords you more time at the ruins. Hotels are plentiful (though many get poor reviews), but the town is more or less completely devoted to tourists—don’t expect a local experience here. 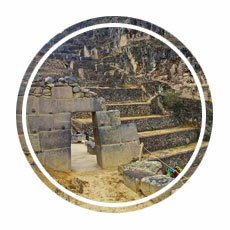 Staying in Ollantaytambo. This is also a popular option; you can take trains from there to Aguas Calientes, and because it’s closer to Machu Picchu than Cusco it can save you some time during the day. All-Inclusive Machu Picchu Tours: Worth the Price? 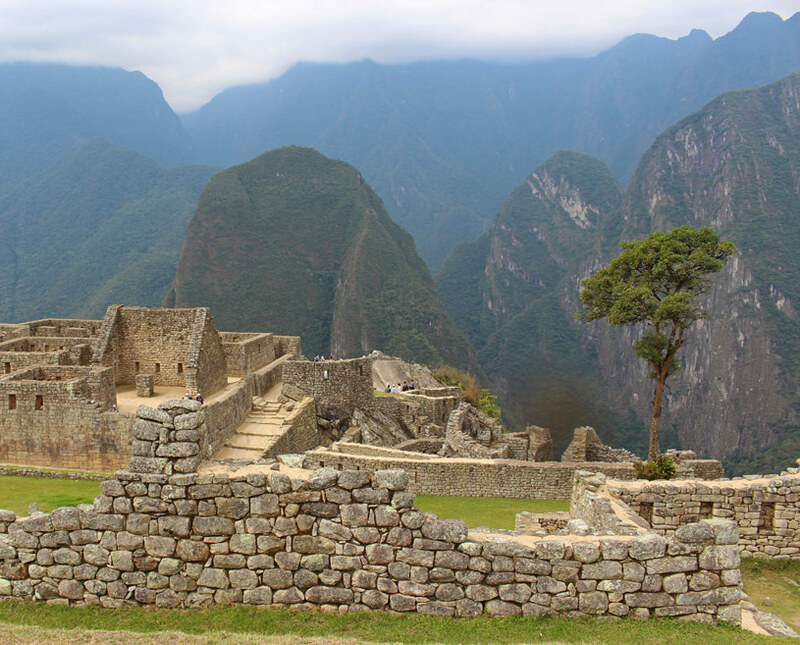 If you’re visiting Machu Picchu, you have one big decision to make early into your planning process: will you take an inclusive tour, or will you plan the trip on your own? What is included in the tour? 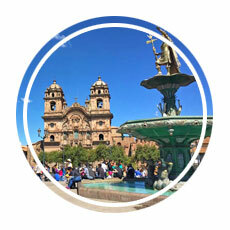 Be sure tours include, at a minimum, train tickets from Cusco’s Poroy Station, bus tickets from Aguas Calientes to Machu Picchu, Machu Picchu entrance tickets, and a guided tour. Bonus points go to tours that include lunch and/or hotel pickup and drop off after your train arrives that night. Do some homework to understand how much each piece of your trip will cost. Even if you ended up selecting a guided tour, knowing how much you would spend on each individual ticket can help you to evaluate the value of the tour you are considering. 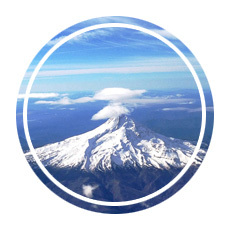 Check travel review sites like TripAdvisor to learn about how reputable the tour company is. 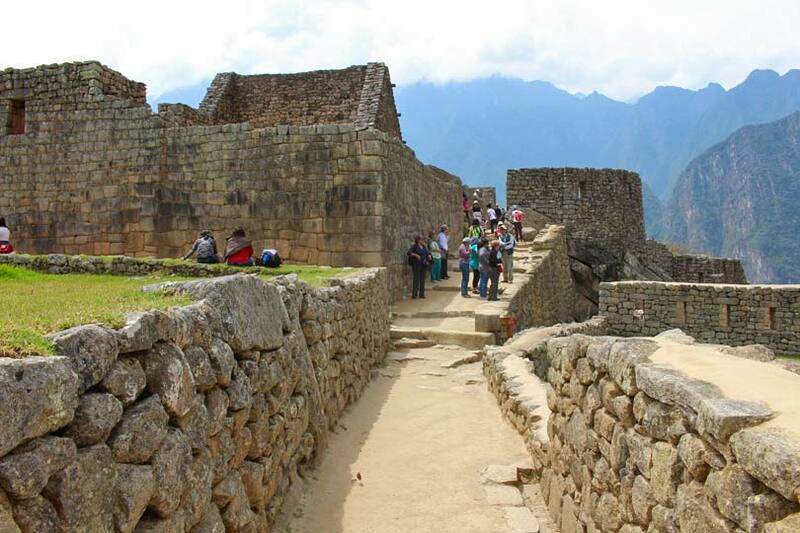 Day trips to Machu Picchu will cost hundreds of dollars per person, and you don’t want any nasty surprises should you find your tour guide doesn’t show up or your Machu Picchu ticket isn’t waiting for you on the day of your visit. 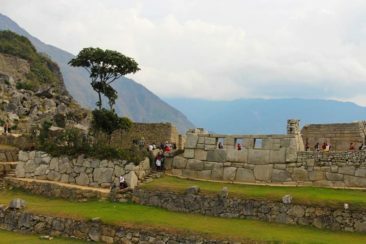 Ultimately, we compared the cost of a day tour to Machu Picchu to the amount it would cost us to book each individual piece on our own, and we decided it was best for us to build our own trip and forego a bigger, more organized tour (we saved about $250 USD per person by doing it this way!). This was perfect for our travel style, but let your preferences and comfort guide your decision! 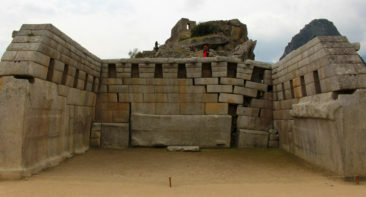 In 2011, due to increasing interest in the site, Peru’s Dirección Regional de Cultura Cusco set a daily entrance restriction on visitors to limit the number of people who can enter Machu Picchu on any given day. 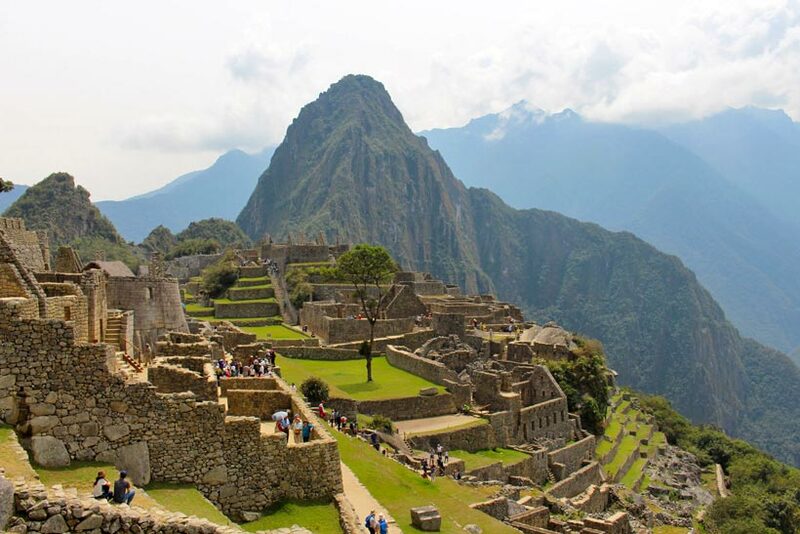 Now, only 2,500 tickets are available for purchase, so if Machu Picchu is high on your bucket list it’s a great idea to buy your tickets as soon as you buy your plane tickets. Because we put together our own trip without a travel agency or tour group, we were on our own for tickets. We reserved and purchased our tickets through the official website, which is the only reputable place to get them. The website is not particularly easy to use—the Spanish version works far better than the English version, and tickets can only be purchased with a Visa card—but ultimately it didn’t take a lot of time or effort before we had our entrance tickets reserved and purchased. My minimal knowledge of Spanish was very useful in translating the instructions as I bought the tickets. Don’t forget to print the confirmation and the tickets when the purchase is confirmed! The tickets do not get emailed to you. If you get stuck, there are several great blogs and resource guides that provide some step-by-step instructions on how to navigate the website. A huge part of arriving at the destination is the journey—and in this case, the journey to Machu Picchu involves three and a half hours on a train and thirty minutes on a bus. There are two trains in town when it comes to the Cusco-Machu Picchu route: Inca Rail and Peru Rail. We opted for Peru Rail because their schedules worked better with our own, and we weren’t disappointed. 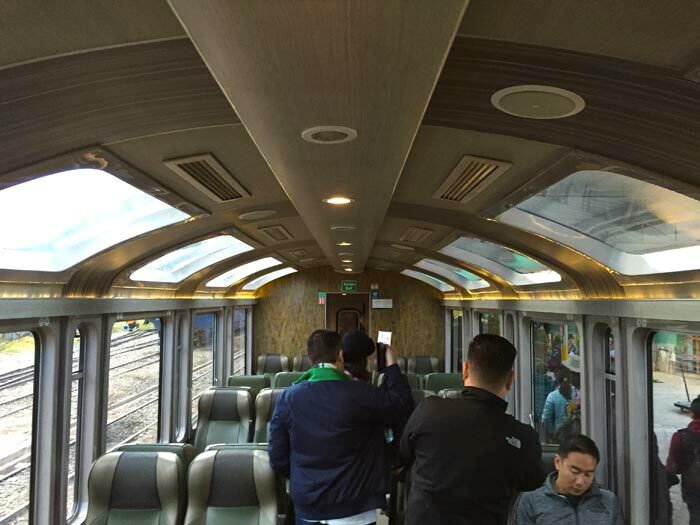 They have a few classes of service; we chose the Vistadome train, which offers slightly more comfortable seats, slightly bigger windows, and slightly better service than the Expedition class train (the more economical of the options). Peru Rail is an experience in itself. The scenery as we descended from 11,500 feet above sea level in Cusco into the Sacred Valley was unbeatable; we enjoyed blue skies and lush green hills as the train navigated its way toward our destination. The food was pretty decent as well. Having felt as sick as I did the morning of our visit, I was grateful to enjoy fresh fruit, cake, and a cheese sandwich for breakfast. On the way back to Cusco we were served fruit, pizza, and a cookie. Beverages were complimentary, which for us meant coca tea was readily available to help us with our acclimation problems. Our journey wasn’t over when the train came to a stop at Aguas Calientes. After we hopped off the train, we spent five minutes walking through an indoor market before we arrived at the main road, where we purchased bus tickets to Machu Picchu. 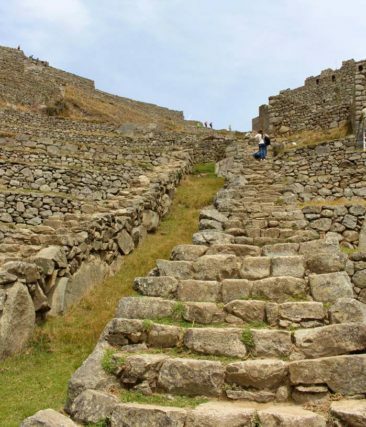 Taking the bus isn’t the only way to get to Machu Picchu, but if you opt out of the bus, be prepared for a lengthy walk from town to Machu Picchu. Much of the trek requires walking up some steep roads shared by the tourist buses, which isn’t a very attractive option, so most people quickly line up for tickets. Don’t let yourself get too delayed between departing from the train station and arriving at the ticket booth; the line can get very long very quickly, so if you’re at the end of the line you will lose valuable time that could be spent at Machu Picchu while waiting for your turn to make your purchase. The bus isn’t cheap- about $25 USD for a round trip ticket- but you can pay for tickets with dollars, soles, or MasterCard (Visa is not accepted!). Buses depart when they are full, but we never waited more than five minutes for a bus. They seemed to leave at very regular intervals. The ride from Aguas Calientes to Machu Picchu is slow and tedious; it took close to 30 minutes before we arrived. The roads don’t have guardrails, and when our bus passed hikers and other buses I was tempted to close my eyes so I wouldn’t bear witness to possible collisions. Even still, it was better (and quite possibly safer) than walking all the way from town! 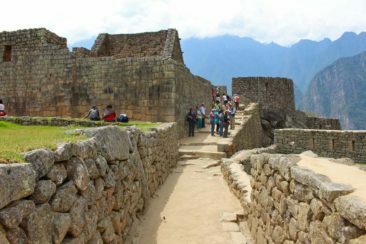 After you get off the bus, about 100 steps will separate you from the Machu Picchu entry gate—and every step is crowded with guides for hire. 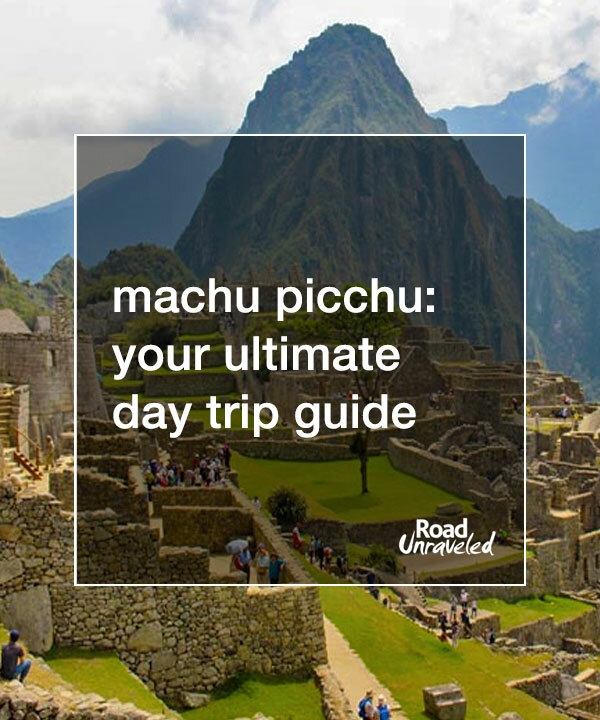 If you journey to Machu Picchu without a guide, you’ll have dozens of guides to choose from if you’re looking for someone to accompany you and explain the history to you. They will identify themselves to you very quickly (we had at least 10 offer us services while we walked to the entry gate). If you’re interested in a guide, you can negotiate with them to settle on a fee that is acceptable to you, and you can also look for groups that are forming to see if joining other travelers can lower your cost. 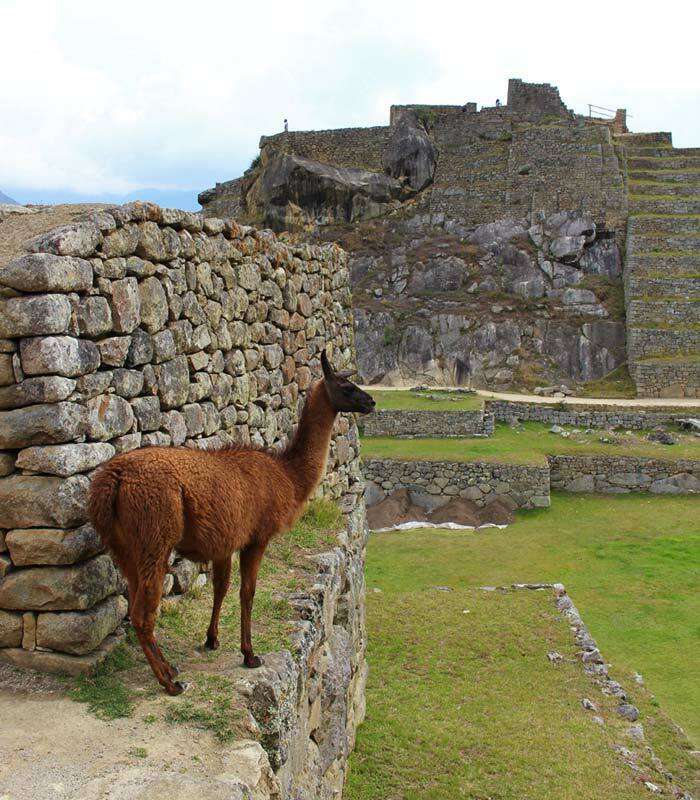 Guides typically spend two or two-and-a-half hours with you inside Machu Picchu, which means you can spend a couple of hours on a tour while also enjoying some independent time to tour or revisit locations later in the day. If you’re planning to hire a guide, don’t be afraid to “interview” a couple before you commit to one to get a sense of their knowledge about the site and English proficiency. Some of the guides we encountered were clearly more qualified than others, and you owe it to yourself to find a guide who will meet your needs. 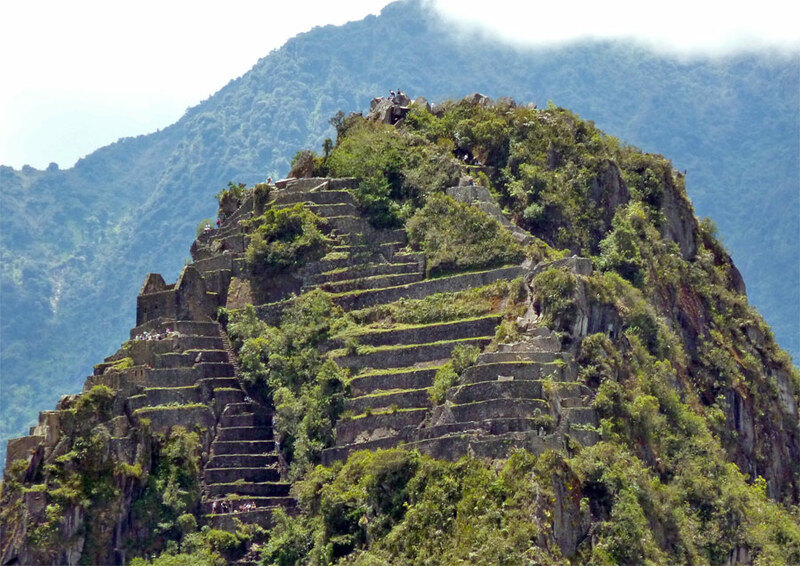 We read up on Machu Picchu before we left, so we were prepared for what we were going to see. If you know the history and what landmarks to look for, a tour guide may not be able to add enough information to keep you interested. We wanted to move completely at our own pace. Adam especially wanted some uninterrupted time to take pictures, and walking with a guide wouldn’t have afforded us the opportunity to stop in spots for 20-30 minutes at a time to rest and photograph the site. Would we have made the same choice in retrospect? Although we would have enjoyed some of the stories we heard guides sharing as we walked, we don’t regret having the chance to explore completely unaided. Machu Picchu is well-organized and easy to traverse without someone telling you where to go, and we didn’t have any issues getting around or understanding what we were seeing. Guides are a personal choice; we would recommend them for most travellers, but if you decide not to hire one you’ll still have a great experience. While the entire Machu Picchu complex is impressive, there are a few spots that shouldn’t be missed. 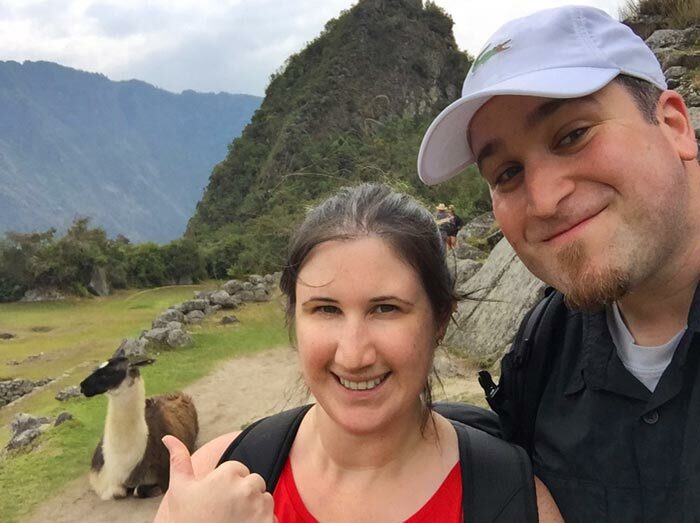 If you’re looking for an iconic Machu Pichu selfie, you won’t have to go too far to get it. Once you enter the site and get your ticket checked and stamped, follow the signs to the Guardhouse and climb up the trail. Chances are you’ll be following the crowds (it seemed to be everyone’s first stop! ), so keep an eye out for where most people seem to be headed. The first opening you come to will grant you your first view of Machu Picchu as well as a great selfie spot, but it will also be flooded with tourists. You can climb up the trail just a little further to get a similar (arguably better) panoramic view without as many people around to crowd your space. If you’re not on a guided tour, consider staying in place while the crowds get their pictures and move along; we waited for a while and had the viewpoint all to ourselves for about ten minutes. 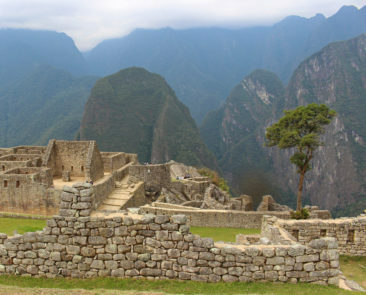 The mountain that soars above the landscape in all of those Machu Picchu photos you see online is called Huayna Picchu. You can actually hike up a trail to reach the summit (although it is heavily restricted- only 400 people may climb daily, and climbing occurs during two sessions in the morning). We read stories about the amazing views, narrow pathways, the infamous “stairs of death”, nearly vertical inclines (and drops), and beautiful terraces along the trail, but we opted to skip the hike due to our limited time on-site. We also had some minor concerns about how the altitude would be treating us after a short acclimation period. 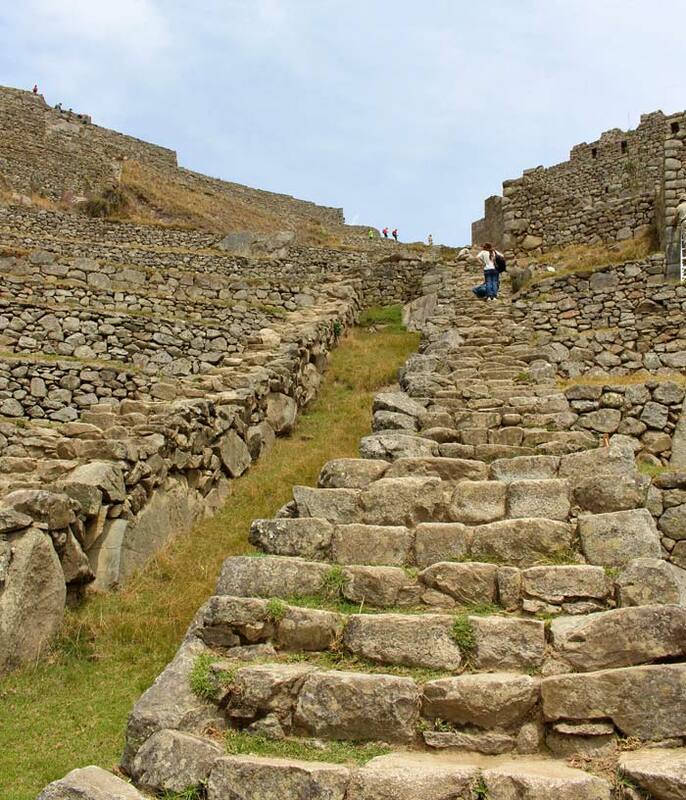 If you want to make the hike, purchase your entrance along with your Machu Picchu ticket. 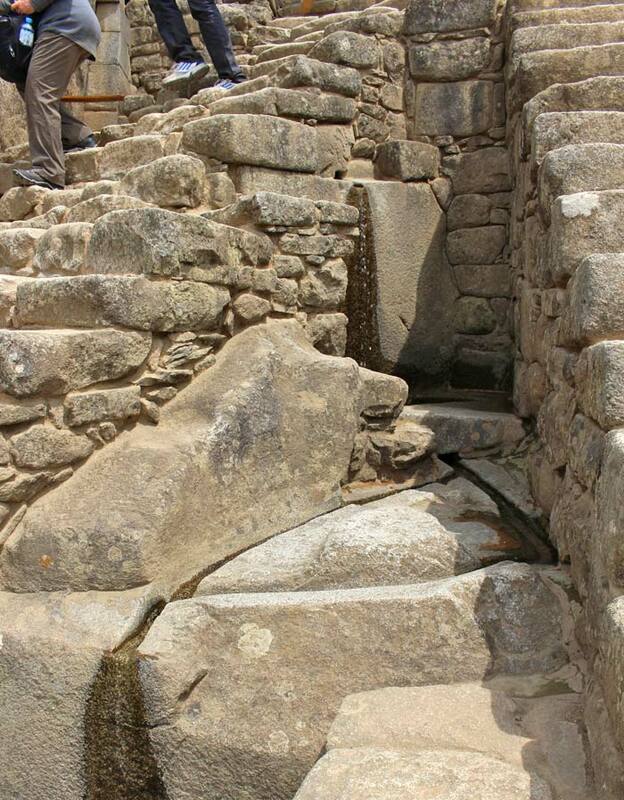 Look for the impressive Incan aqueduct system throughout Machu Picchu. 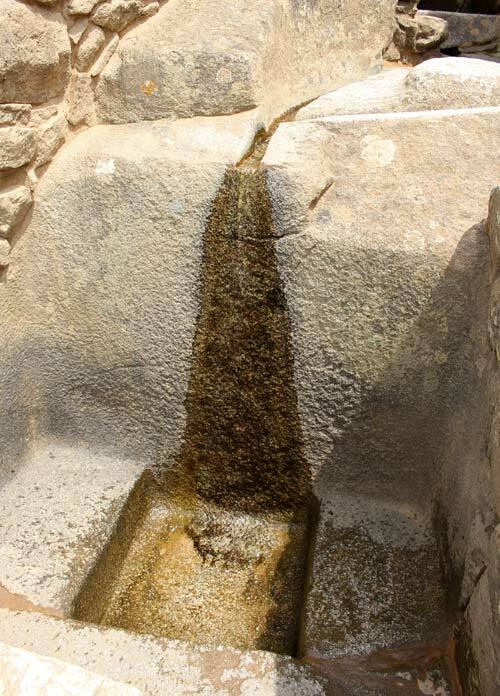 The waterways helped divert precipitation during the rainy season, and additional fountains helped supply the site with a steady flow of water for agriculture and domestic use. 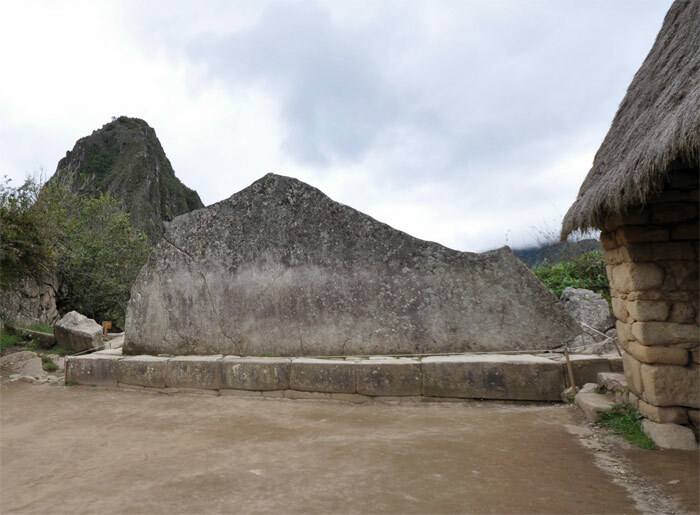 Located in the lower part of Machu Picchu near the entrance to the Huayna Picchu trail, the Sacred Rock is a large, natural monolith that mirrors the shape of the Inca’s sacred mountain, Putucusi. Tourists flock to this spot for photos of themselves touching the stone. Line up the top of the rock with the outline of Putucusi in the distance for another great photo op. The Inti Watana stone is a beautiful carved rock that was believed to have been used for astronomical and religious purposes. It was positioned to align directly with the winter solstice. 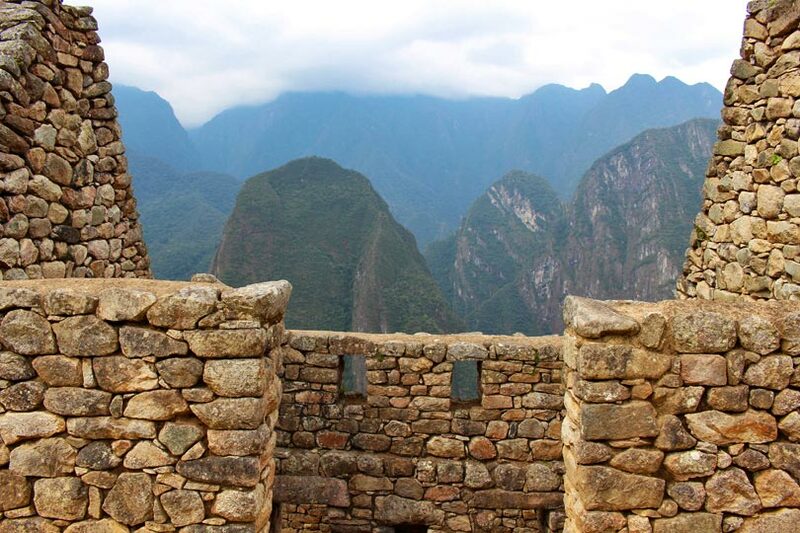 This location also provides a great view of the valley for more of those epic Machu Picchu selfies. 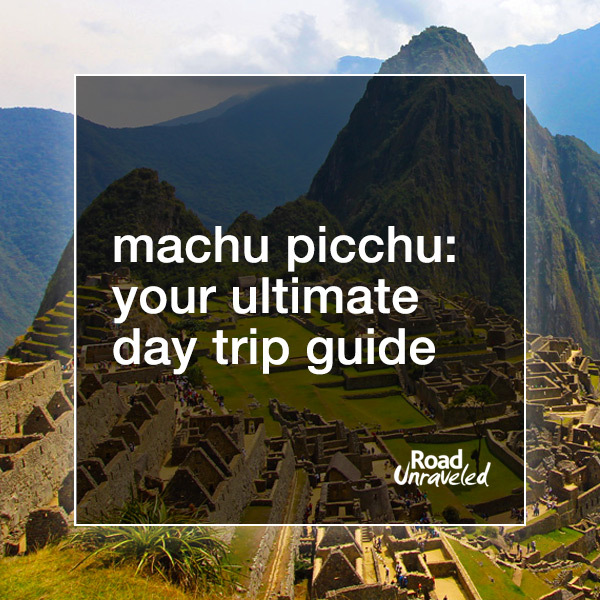 Machu Picchu is pretty far from Aguas Calientes—whether you have walked up or taken the bus—which means it’s not feasible to leave at lunchtime to return to the town for something to eat. One option is to schedule your visit to occur after lunch and eat before boarding the bus, but if you’re planning to maximize your time at Machu Picchu there are two options if you need to refuel after a morning of climbing, touring, and photographing: a snack bar and the restaurant. Don’t forget to get your passport stamp! We didn’t spend time at the snack bar, but it serves what you would expect: small bites, sandwiches, and beverages. Prices are on the expensive side, and portions looked small. We opted for the buffet at Tinkuy Restaurant, which is part of the Belmond Sanctuary Lodge. The deciding factor for our sit-down lunch was that we received a voucher for the buffet when we purchased our Peru Rail tickets as part of a promotion. As it turned out, we were really glad to have the vouchers. The buffet had a great number of hot and cold dishes (including roast pork and roast beef), and we were able to refill our water bottles with clean, filtered water. The buffet was all-you-can-eat, and while we didn’t eat to the point of being stuffed it was nice to have the flexibility to try all of the dishes we wanted. Our vouchers also granted us access to clean bathrooms separate from those used by the general public. It was nice to spend an hour sitting in the air conditioning after a crazy morning of hiking and climbing to the point of exhaustion. If you’re planning a day trip to Machu Picchu, consider a stop at Tinkuy for a respite from the sun; we enjoyed the chance to rest for a while. If spending close to $30 per person for lunch is more than you want to add to your budget, consider bringing your own food from Cusco or stopping for something in Aguas Calientes (you’re not supposed to bring outside food into Machu Picchu, so eat outside before you enter!). ► Take your passport with you! Your passport will be checked before you get on the train (in Cusco and in Aguas Calientes), and it will be checked against the information on your ticket when arriving at Machu Picchu. Security is taken seriously at all turns, so your passport is among the most important items to keep with you during your visit. 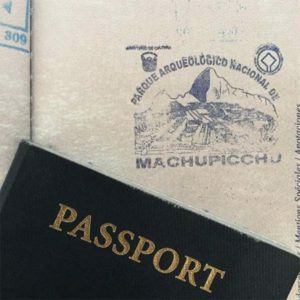 ► You can get a Machu Picchu stamp! There is a self-service stamping area just outside of the entrance gate. Although it’s a little touristy to do it, we have come to love these special souvenir stamps; Machu Picchu is not the easiest destination to visit, so we feel like we have really earned those stamps! Also, it looks great next to our Easter Island passport stamp. One more reason to have your passport handy! 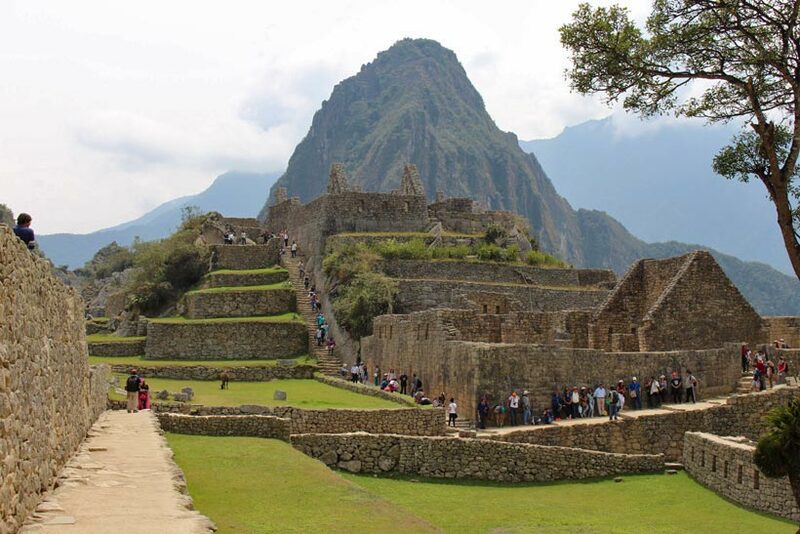 Your entrance ticket to Machu Picchu is good for up to three entries during a single day, so use them wisely. We used one when we arrived and a second one to reenter after lunch (the buffet and snack bar are outside of the main gate). Take good care of your ticket to ensure you can get back in when and if you need to! So many llamas! They’re used to tourists, so you can take a photo with them- just try not to spook them. Boarding begins 30 minutes before departure, but document checks start sooner, so we built in some extra time to be sure we wouldn’t get held up at any stage (getting stranded in Aguas Calientes was not part of our itinerary!). A bonus for us was that we had a chance to listen to a very talented local performer playing the Andean pan flute (Video), which added to the ambience and was pretty relaxing at the end of a very long day. 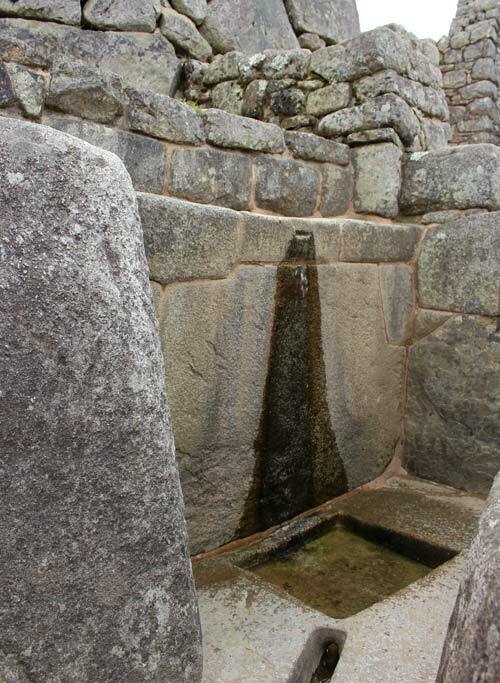 We visited in late August, during Peru’s winter, because that is the dry season; there have been years when the Inca Trail has been washed out during the rainy summer and fall seasons, and while the weather might be warmer it’s not worth it to risk your trip by visiting during a volatile time of the year. 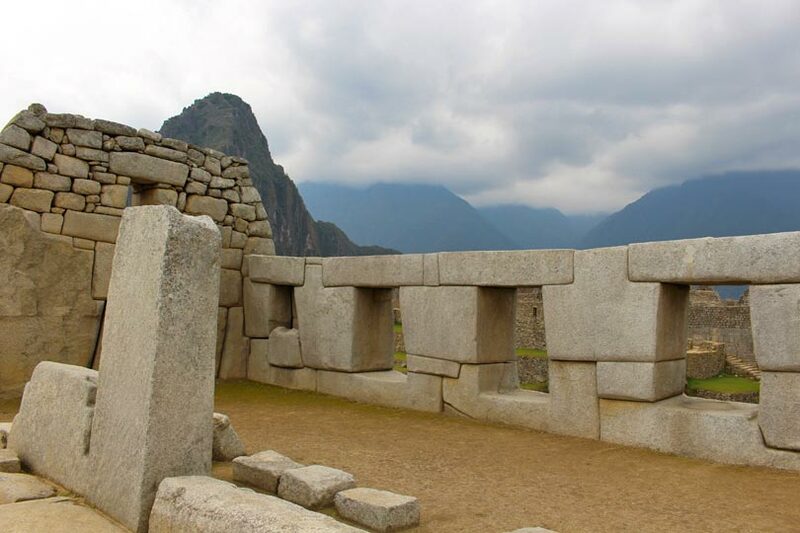 When planning an unguided trip to Machu Picchu, you will be managing quite a few details: train schedules and timed entrances are the obvious ones, and weather and altitude sickness might be factors to consider as they were for us. We purchased an insurance policy from World Nomads that provided coverage for the experience we planned and protected us from the unknown challenges we prepared for. It’s smart to research insurance plans and select the one that will provide the right coverage for your Machu Picchu adventure. 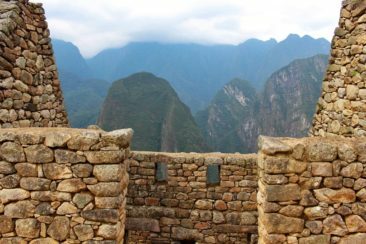 When we combined all of those pieces—our tickets, our transportation, dining options, and the visit itself—we had the makings of a truly perfect day trip to Machu Picchu. While the amount of planning might seem daunting, if you’re organized and follow through on details it’s a very straightforward adventure to plan. 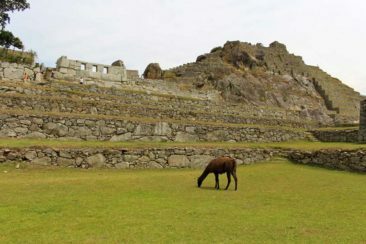 If you need any more proof that Machu Picchu is worth the trip, these pictures from our visit should be enough to push this Incan treasure to the top of your bucket list! Ready to visit Peru? Here are a few more posts to help you plan your trip!